7th June 2018: CPCS have announced that anyone with the retired A17D Telehandler (inc 360 slew) category who make any amendments to their card after 28th August will be downgraded to A17C Telehandler (exc 360 Slew), unless they complete the CPCS A77 Telehandler 360 Slew (A89) Transitional Assessment. This update seems to contradict CPCS’s original statement during the introduction of the CPCS A77 Telehandler 360 Slew category which stated that the A17D category would only become redundant to card holders at the point of renewal. After 28 August 2018: If you currently hold the A17D category on your card, you’ll have the category downgraded to A17C if you decide to make any amendments to your card after 28th August 2018. 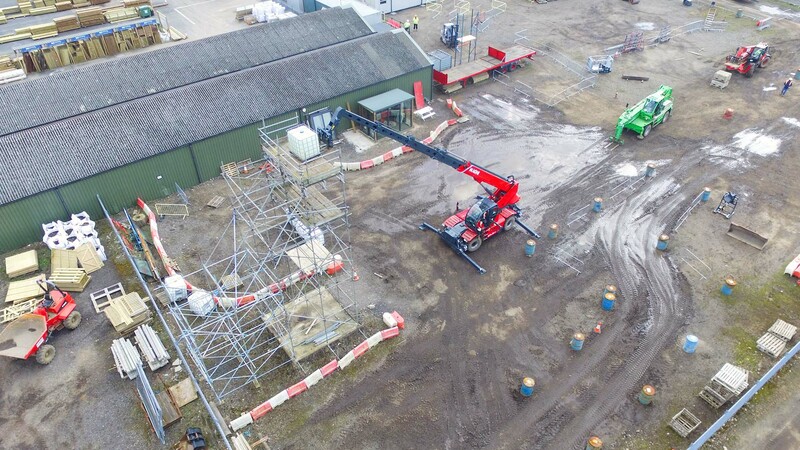 For example, if you complete a CPCS A40a Slinger/Signaller course after 28th August, when your new card arrives you will no longer have A17D Telehandler (inc 360 Slew) as a category – it will be downgraded to A17C Telehandler (exc 360 Slew). To stop this from happening you will need to complete the CPCS A77 Telehandler 360 Slew (A89) Transitional Assessment to upgrade A17D Telehandler (inc 360 Slew) to A77 Telehandler 360 Slew before you make any other changes. Before 28 August 2018: If you currently hold the A17D category on your card, you’ll be issued with a temporary (12 month) Trained Operator Card (Red) or a Temporary Competent Operator Card (Blue) if you decide to make any amendments to your card before 28th August 2018. For example, if you complete a CPCS A40a Slinger/Signaller course before 28th August, when your new card arrives you will no longer have A17D Telehandler (inc 360 Slew) as a category on it – you will receive a separate temporary card with the existing category which will be valid for 12 months. We recommend that anyone with CPCS A17D Telehandler (inc 360 Slew) do the CPCS A77 Telehandler 360 Slew (A89) Transitional Assessment. This transitional assessment consists of 2 theory questions based on lifting capacity diagrams which are incorporated into the practical assessment, and four lifts with the winch attachment (1x pick and carry, 3x static). If you lose the A17D Telehandler (inc 360 Slew) from your card you will need to do the complete A77 Telehandler 360 Slew assessments, which consist of 101 theory questions and a 3 hour practical assessment, to get the category back on your card. We understand that this update will affect the majority of 360 Telehandler operators, especially those who upgraded to A17D prior to the introduction of the new category on 28th March 2018. Although CPCS have stated that they will be writing to all current A17D card holders to make them aware of the scheme changes, we would advise you to contact CPCS before making any amendments to your card to ensure you don’t lose the category.